The old fashioned is not old-fashioned any longer—cocktails are making a hot comeback. Even wine lovers can’t ignore the numbers: 23 percent of the U.S. population enjoyed a cocktail outside the home in the last three months, according to a recent nielsen.com survey. The percentage is even higher when you add in all the do-it-yourself, at-home cocktails. 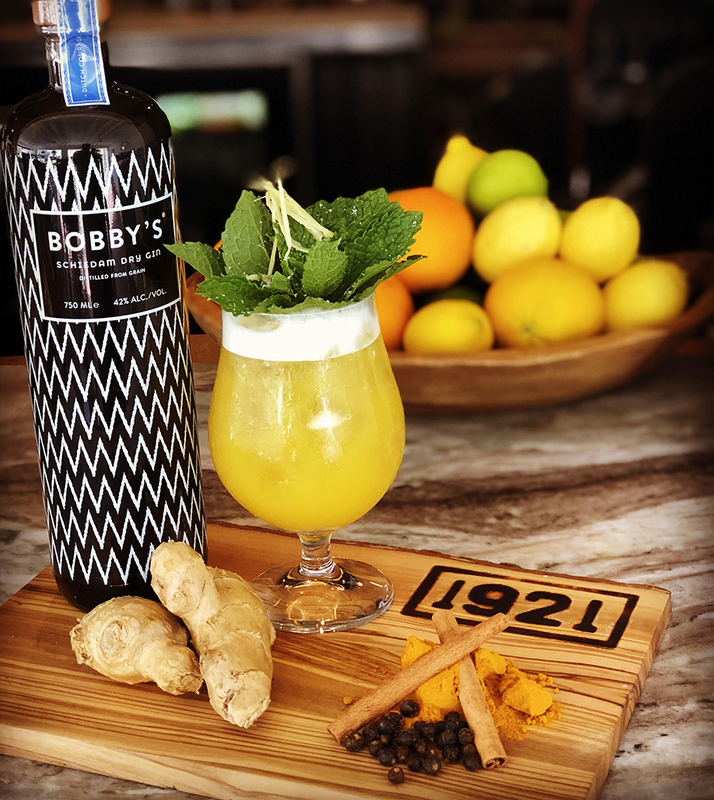 Florida’s craft cocktail scene is hotter than a downtown sidewalk in August as more restaurants employ mixologists who love to get creative. With record-breaking heat still around, cool off with one of these locally inspired cocktails. Turners mixologist Katie Braton knows how to make a drink on order. She has tended bar at Turners since it opened, but her first experience mixing drinks was at her dad’s bar, Hemingway’s, in Beaufort, South Carolina. Ironically, I asked her to make a cocktail using Papa’s Pilar Rum, a brand I discovered recently at the Hemingway Rum Co.’s Key West distillery. Katie enthusiastically agreed to craft something using the smooth Papa’s Pilar 24 Dark Rum, which Turners carries. A lot of our customers like to drink handmade, micro-batch spirits like Palm Ridge Reserve, which is made in Umatilla,” she says. Hemingway Rum Co. opened its Key West location in 2017 though the brand was launched six years ago in five states. 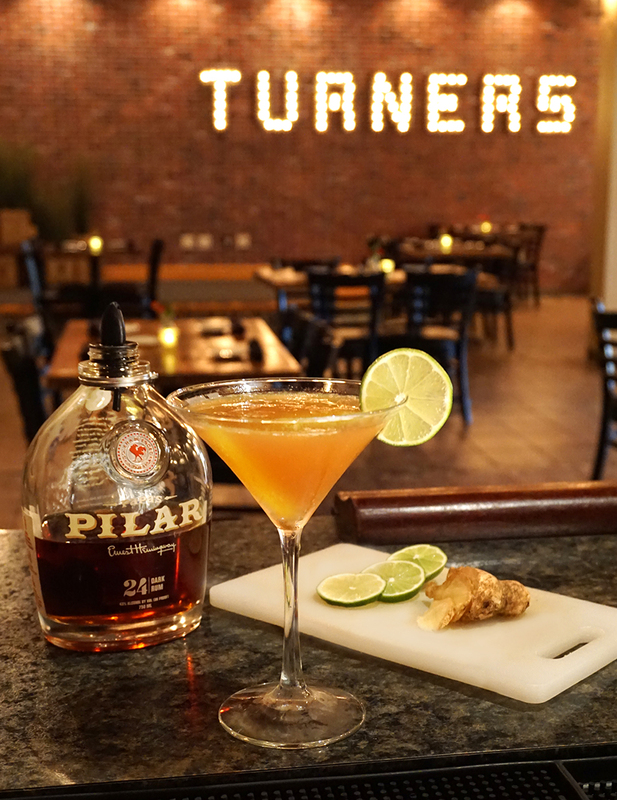 That number has grown to 38 states and the rum—both the Papa’s Pilar 24 Dark Rum and its lighter Papa’s Blonde Rum—is readily available in Lake County. In a tumbler, muddle ginger and lime. Fill with ice and add rum. Lightly shake. Add ginger beer and bitters. Strain into either an ice-filled highball glass or a chilled martini glass and garnish with a lime wheel. This cocktail appealed to me for a variety of reasons: it’s made with lavender syrup, one of my favorite flavors; it contains prosecco, a delicious Italian sparkling wine; and I’m a member of the Class of ’75 although the drink has nothing to do with graduation dates. 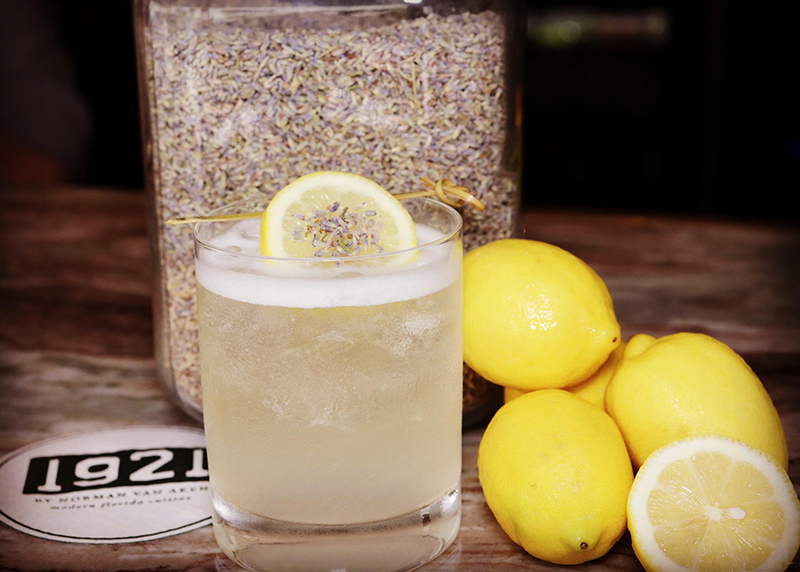 Chelsea’s cocktail creation is actually a rendition of the classic French 75, which was created around World War I and was named after the 75mm M1897 artillery gun used by the French military. The original recipe was gin, lemon, champagne, and sugar. American soldiers revived the cocktail back in the States, and it has become a classic. “The cocktail scene in Lake County is growing as more guests warm up to the craft bar and restaurant industry in the area,” Chelsea says. Chelsea and her team of mixologists have “converted” many regulars from simple mixed drinks to craft concoctions. “All they needed was a little push to try something new, and that’s exactly what our menu and selection inspires,” she explains. As we represent modern Florida cuisine, we like to give guests a peek into the past with a modern flare,” Chelsea says.